As if moving isn’t stressful enough, our pets tend to feel the anxiety as well. 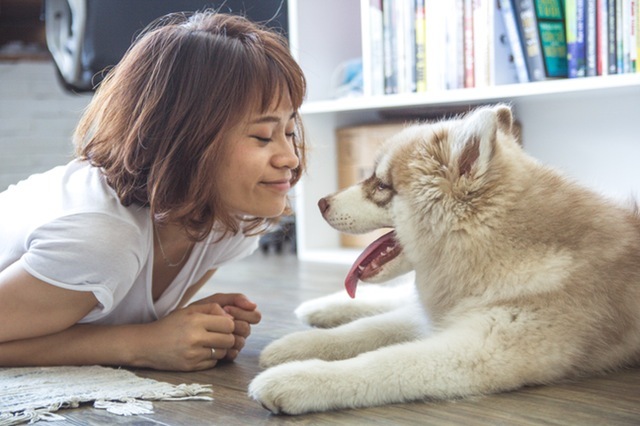 After a move, it’s okay to see your little pooch acting differently towards your new home since the change of environment can be quite overwhelming. Just like newly relocated tenants, pets can feel the stress in the air. In fact, an interview with James Morrisey reveals that dogs and cats are good at picking up the stress. So when you’re moving with your pet, the following tips are ways to make the transition as smooth as possible. While you’re packing, make sure that you’re organizing your boxes and moving supplies away from your pets. If found, this can turn into disaster since cardboards and bubble-wraps do not go well with the two. If possible, contain your pets in a separate area during the move. The last thing you want to happen is for them to get in the way of moving as they cause an accident. Moving day involves a lot of movement which means that you could step on them when you least expect. Do yourself a favor, and separate them from the chaos. It could take some time for them to adjust to the new home. The best way to help them settle is keeping a consistent mealtime and a normal bedtime routine. This way, they understand when it’s time to go potty, and they’ll have fewer accidents in the house. If necessary, have a pee pee pad available for them to use in case of emergency.